The dream of attaining a Muslim land turned into a resolve on March, 23rd 1940. 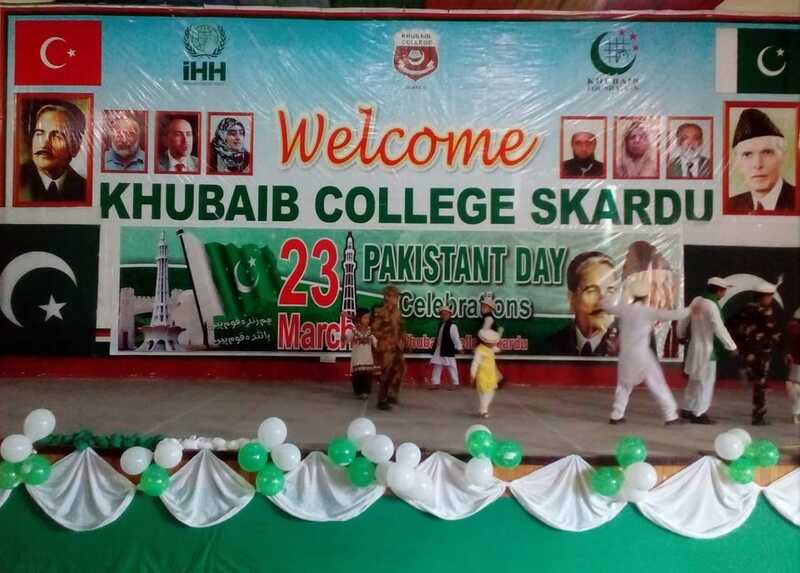 Since after the creation of Pakistan, all Pakistanis celebrate this occasion as 'Pakistan Day'. 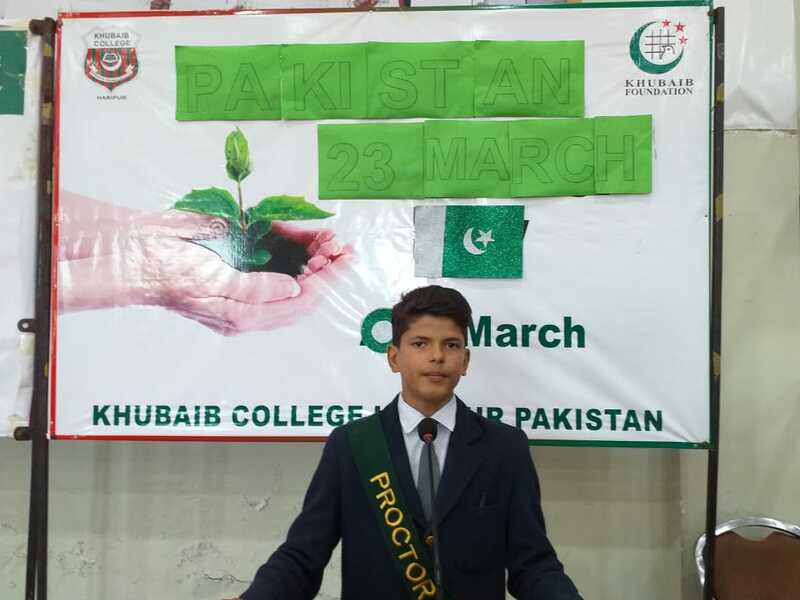 The students of Khubaib Colleges also observed this memorable day to pay their gratitude to Allah (S.W.T) for blessing us with this beautiful land where we are free to practice our Deen. Alhamdulillahi Rabbil Aalameen. 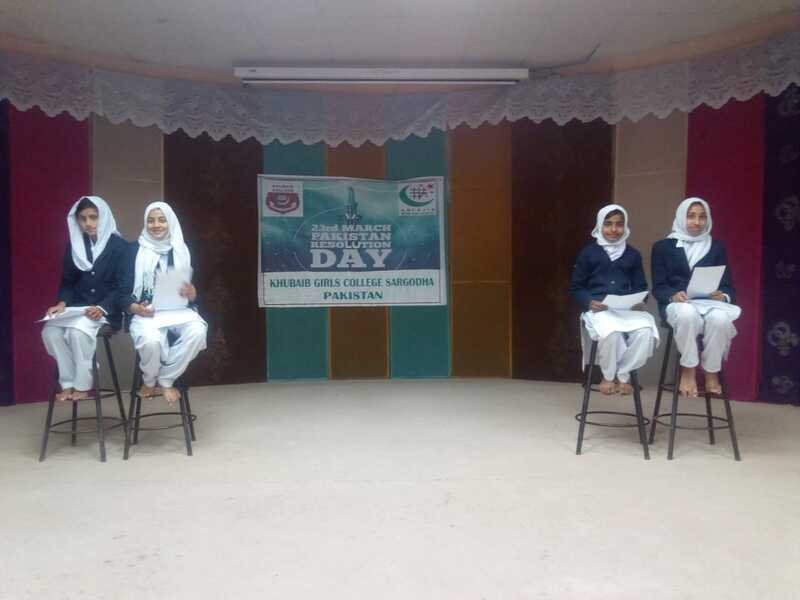 Commemorating the 23rd March as Pakistan Day, Khubaib Colleges organized a ceremony, where students paid homage to the independence movement leaders including The Founder of the Nation Quad-e-Azam Muhammad Ali Jinah, Hazrat Allama Muhammad Iqbal, Mohterma Fatima Jinnah and thousands of others who worked tirelessly for the cause of freedom, turning a dream into reality.